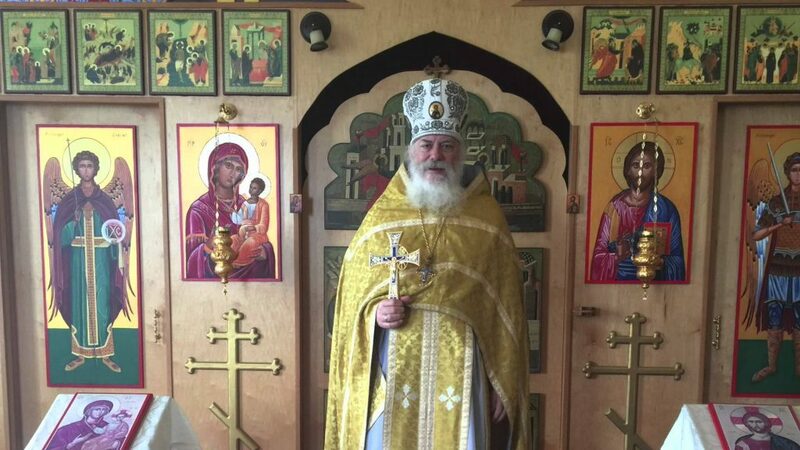 Recently in June of this year, the leaders of the GOC (K), ROCOR (A), and the Romanian True Orthodox Church met and issued a “Confession of Faith.” A list of participants in the Conference that produced the document is here. The document is reproduced below. made, of one essence with the Father, through Whom all things were made. incarnate of the Holy Spirit and the Virgin Mary, and became Man. And, crucified for us under Pontius Pilate, He suffered and was buried. And on the third day He arose, according to the Scriptures. And ascended into the Heavens, and sitteth at the right hand of the Father. Who spake through the Prophets. I look for the resurrection of the dead, and the life of the age to come. Church, and the local Synods that they endorsed and confirmed. as well as the Sacred Canons, which those blessed men handed down to the Church for the governance of the Holy Church of Christ and the good ordering of morals, composing them in accordance with the Apostolic Traditions and the intent of the Divine teaching of the Gospels. subtracting nothing, changing nothing, either of the dogmas or the traditions, but abiding by these and accepting them with fear of God and in good conscience; all that She condemns as heterodox teaching and repudiates, this do I, too, condemn and repudiate forever. constitutes the continuation of the One, Holy, Catholic, and Apostolic Church in Greece, and to the canonical Bishops and Presbyters under Her, and which is in communion of Faith and of the Mysteries with the local Genuine Orthodox Churches everywhere. 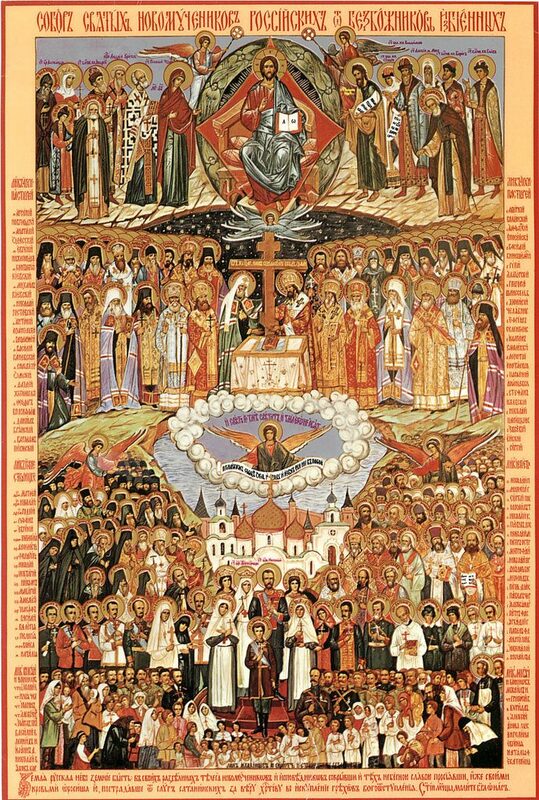 by the Holy Œcumenical Synods, handed down by the most wise Œcumenical Teachers, and authenticated by the blood of the Holy Martyrs. unwaveringly espouse the decisions of the Holy Synod convened by St. Photios in Constantinople, in 879-880, as well as the Synodal Tome of the Synod of Blachernae in Constantinople, in 1351, at the time of St. Gregory Palamas and the Holy Patriarch Kallistos I, in the firm belief that these Synods possess Œcumenical and Catholic validity and authority in the Orthodox Church. and condemned the introduction into the Orthodox Church of the so-called Gregorian (New) Calendar promulgated by Pope Gregory XIII in 1582.
concerning Baptism of the heterodox and the Synodal Encyclical of 1848 of the Most Holy Patriarchs of the East, as well as the Synodal Decree of 1872, which condemned phyletism, and also the Synodal Encyclical Epistle of 1895, which constitutes the final Genuine Orthodox Ecclesiological Proclamation of the Patriarchate of Constantinople prior to its entrance into Ecumenist Apostasy. I regard ecumenism as a syncretistic pan-heresy, and participation in the so-called ecumenical movement, which was inaugurated at the beginning of the twentieth century, as a denial of the genuine Catholicity and uniqueness of the Orthodox Church, firmly believing that one who agrees with and participates in any heresy whatsoever is lapsed in the Truth of the Faith and the Unity of the Church, and is, as a result, out of communion with Genuine Orthodoxy, since “those who do not belong to the Truth do not belong to the Church of Christ either” (St. Gregory Palamas), as being deprived of Her sanctifying and deifying Grace. 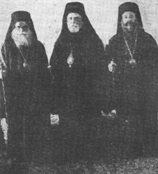 Likewise, I reject and in no way accept the 1920 Proclamation of the Patriarchate of Constantinople “To the Churches of Christ Everywhere,” on the ground that it contains a complete plan for implementing the heresy of ecumenism in practice and that it anticipates the calendar reform prepared by the so-called Pan-Orthodox Congress of 1923 and put into effect in Greece in 1924, thereby violating the decisions of the three Pan-Orthodox Synods of the sixteenth century. In consequence of the foregoing, I also regard those Orthodox who took part in the foundation of the World Council of Churches in 1948 and who since then have been active and functioning members thereof, thus cultivating inter-Christian and interfaith ecumenism, as lapsed in the Faith. I reject and in no way endorse the so-called Pan-Orthodox Consultations (1961 to the present), which facilitated the reprehensible, invalid, and meaningless “Lifting of the Anathemas Between the Eastern and the tern Church” in 1965, which, moreover, introduced also the lifting in practice of non-communion in prayer and the mysteries between Ecumenists of many different stripes, and which have since then been paving the way, from an ecumenist perspective, for the convocation of the so-called Great Pan-Orthodox Synod, with a view to the complete acceptance, ratification, and dogmatization of the syncretistic heresy of ecumenism.